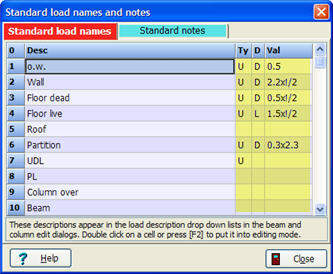 ﻿ What's new in SuperBeam 4.55 (April 2009) - glulam beams and more! This has been asked for lots of times but we weren't quite how best to implement it. 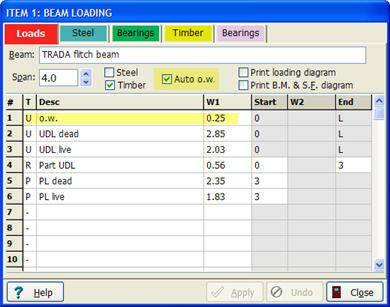 But now it's done: check the box above the load table and a load line for the beam self weight will automatically be added if not already there. Subsequently this load will not be changed unless an alternative heavier section is selected in which case the new figure will be substituted. 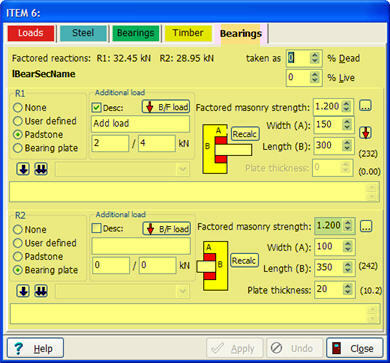 The program never reduces the value - as with beam bearing dimensions to automatically recalculate the minimum value set the load to zero; pressing 'Apply' will then substitute the required minimum value. 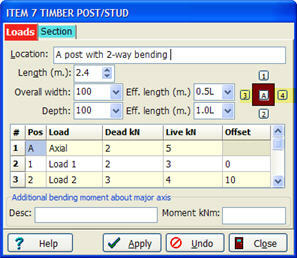 An additional page has been added to the beam edit dialog in which you can enter bearing details for timber beams. The calculations are identical to those done for steel beam bearings save for an additional check on the bearing stress on the timber where it contacts the padstone or bearing plate. Most timber members don't need calculated bearings of course, but this additional facility will be useful where calculations include flitch or glulam beams. Some of you have been asking for this for a long time! 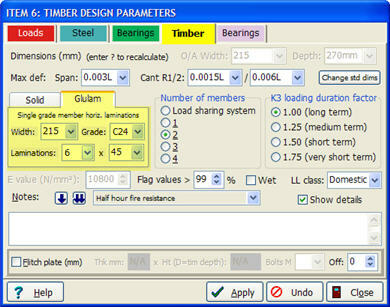 You can now check glulam beams manufactured from horizontally laminated C16 or C24 laminations. 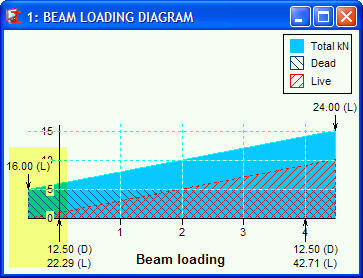 The flitch beam analysis has been brought into line with TRADA Guidance Document 9. Note that this is more onerous than the analysis in versions of SuperBeam to 4.52. 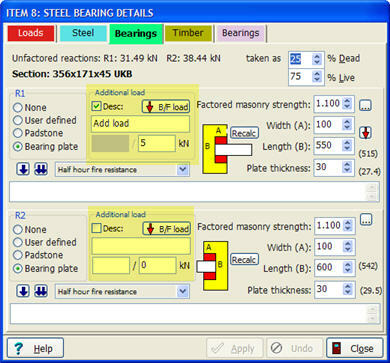 Key changes: a modified K8 value of 1.04 is used rather than 1.10; when checking timber and steel members an allowance is now made for the effect of bolt holes; the effect of creep is now considered when calculating deflection; and the effect of creep is included when checking the stress on the steel plate, increasing this significantly in some cases. Please note that flitch beam designs that are shown as satisfactory in earlier versions may not comply when checked using the new routine.